Warcraft III: The Frozen Throne is the official expansion pack to Warcraft III: Reign of Chaos, requiring Reign of Chaos to play. Released in stores worldwide in multiple languages beginning on July 1, 2003, it currently includes new units for each race, two new auxiliary races, four campaigns, five neutral heroes (an additional neutral hero was added April 2004 and two more were added in August 2004), the ability to build a shop and various other improvements such as the ability to queue upgrades. Sea units were reintroduced; they had been present in Warcraft II but were absent in Reign of Chaos. Blizzard Entertainment has released patches for the game to fix bugs, extend the scripting system, and balance multiplayer. 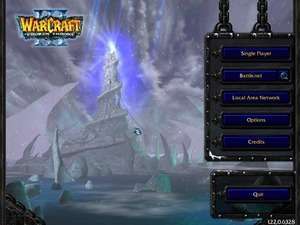 Warcraft III: The Frozen Throne Patch 1.26a is a shareware program and can be used as a demo to try the software until the free trial period has ended. A full version of the program is available after the trial period ends. For security reasons, you should also check out the Warcraft III: The Frozen Throne download at LO4D.com which includes virus and malware tests. Additional screenshots of this application download may be available, too. Provides reviews, screenshots, videos and download links to the highest-rated PC RPG games. Reviews are occasionally posted by the editing staff. RPG means Role Playing Game. Check out some of the freeware downloads available in the rpg game category. They contain no strings and are available at zero cost. Warcraft III The Frozen Throne has a presence on social networks. Warcraft III The Frozen Throne download been highly rated by our users.